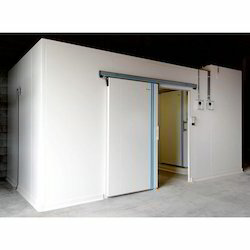 Prominent & Leading Manufacturer from Chennai, we offer multi commodity cold storage, chemical storage cold room, controlled atmosphere cold storage, food cold storage room and commercial cold storage. 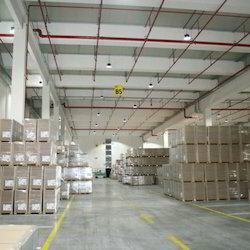 We are offering Multi Commodity Cold Storage to our clients. 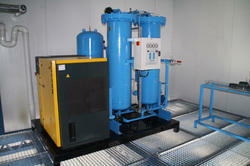 We offer Chemical Storage Cold Room. The CFC-free refrigeration systems facilitate efficient cooling, freezing of the chamber integrated with user-friendly structure and design. Available in various capacities. These freezers find wide application in food processing, fisheries, hotels, research & development, etc. Energy efficient refrigeration systems attuned to suit high ambient conditions. Controlled Atmosphere Cold Storage uses oxygen and carbon dioxide concentrations of about 1% to 5% for each gas in most applications. Normal room air has an O2 concentration of about 21% and CO 2 levels near 0.03%. Low O2 and high CO 2 levels slow the ripening process, stop the development of some CA Cold Storage disorders such as scald in apples, and slows the growth of decay organisms. All of these effects increase storage life of fresh produce compared with conventional refrigerated stores. These facilities are recommended for long term storage of fruits and vegetables like Apples, Pears, kiwi, cabbage etc. for up to 10 months. In Indian context, use of Controlled Atmosphere technology has increased steadily, contributing significantly to extending the post harvest life and maintaining the quality of apples during the past few years. This trend is expected to continue as technology advances are made in this field. 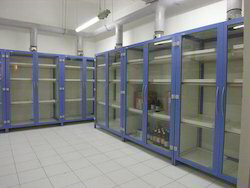 We are offering Food Cold Storage Room to our clients. 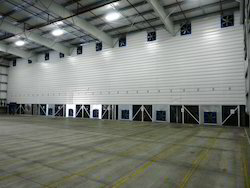 We are offering Commercial Cold Storage to our clients. Looking for Cold Storage ?